A Melbourne-formed advocacy group which drove the creation of a treaty to ban nuclear weapons, has been awarded the Nobel Peace Prize. 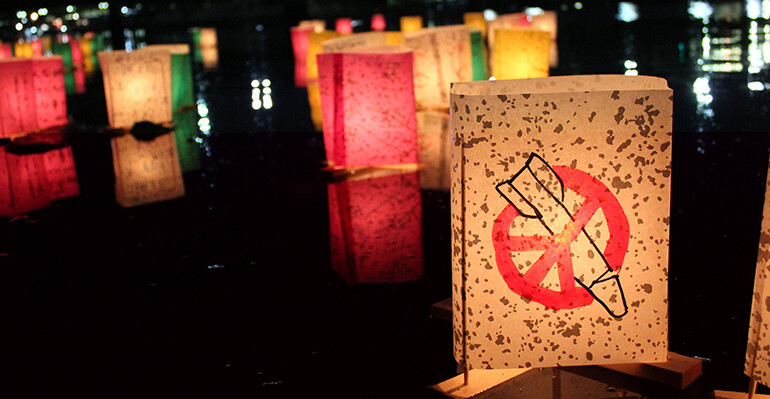 Peace lanterns in Hiroshima. Photo credit: Tim Wright/ICAN. The International Campaign to Abolish Nuclear Weapons (ICAN) took out the prestigious award due to its significant role in achieving a UN Treaty on the Prohibition of Nuclear Weapons. On 7 July this year, 122 of the UN member states signed the legally-binding treaty, which “prohibits nations from developing, testing, producing, manufacturing, transferring, possessing, stockpiling, using or threatening to use nuclear weapons”. ICAN was established in Melbourne in 2007, and is now a coalition of non-governmental organisations in more than 100 countries, advocating for the abolition of nuclear weapons. The Norwegian Nobel Committee announced ICAN as winners of the prize last Friday, which they said was recognition for “giving new momentum” to the efforts to achieve nuclear disarmament. “[ICAN] is receiving the award for its work to draw attention to the catastrophic humanitarian consequences of any use of nuclear weapons and for its ground-breaking efforts to achieve a treaty-based prohibition of such weapons,” the committee said. “Through its inspiring and innovative support for the UN negotiations on a treaty banning nuclear weapons, ICAN has played a major part in bringing about what in our day and age is equivalent to an international peace congress. ICAN’s outreach coordinator, Gem Romuld, told Pro Bono News that receiving the Nobel Peace Prize was “totally unexpected”. “I was completely thrilled and it gave me new hope for our campaign’s momentum, to see countries around the world sign onto this new treaty on the prohibition of nuclear weapons,” Romuld said. She said ICAN’s growth over the last decade was due to their focus on the deadly impact of nuclear weapons, which fostered a grassroots campaign that has spread worldwide. “I think the campaign has been quite infectious, partly because we have re-focused the debate on nuclear weapons onto the weapon itself and what it does to people and its devastating impact on cities,” Romuld said. 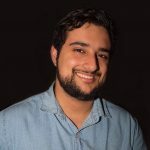 “This focus was conducive to building a grassroots movement around the world in which academics, experts, civil society and survivors of nuclear weapons use and testing could all contribute to the debate, and build a body of evidence that tells us why we need to eliminate these terrible weapons. While 122 countries adopted the UN Treaty on the Prohibition of Nuclear Weapons, countries with a nuclear arsenal like the United States, China, Russia, Britain and France did not engage in talks. Despite this, Romuld said the total disarmament of nuclear weapons worldwide was “inevitable”. “A majority of the world understands that the longer we hold onto nuclear weapons, the more likely we are to see nuclear weapons used, whether by accident or on purpose,” she said. “This treaty provides a pathway for total disarmament. We will see more and more countries join this path and the more countries [that] do, the more pressure will be exerted on the states that possess nuclear weapons. “I think it’s inevitable that countries will have to step away from nuclear weapons and join the majority of the world that has declared these weapons as not only illegitimate and immoral, but also illegal. Australia is another country which has not yet signed the treaty, but Romuld said she hoped the attention this award had placed on nuclear disarmament would encourage more countries to sign the agreement. “Especially here in Australia, we hope it will make our political leaders reconsider their current stance on the treaty and that it will also encourage the Labor Party to commit to sign and ratify this treaty when they next form government,” she said. While federal Labor MP Anthony Albanese did not comment on whether his party would sign the treaty, he did congratulate ICAN on receiving the award. “We can see with the threat from North Korea that is going on at the moment exactly how dangerous nuclear weapons can be in creating instability and quite rightly creating a great deal of international concern,” Albanese said. The Australian Red Cross has been working alongside ICAN in their quest to ban nuclear weapons, and their CEO Judy Slatyer told Pro Bono News she was “absolutely delighted” to see ICAN win the Nobel Peace Prize. “I think if there’s one organisation that deserves this award it’s ICAN. They’ve been very focused on this for a decade and the way they’re approached this is terrific,” Slatyer said. “Ever since the last use of nuclear weapons in Nagasaki (during World War II), Red Cross has been adamant that the world must eliminate nuclear weapons. Slatyer said ICAN’s achievement was an “amazing Australian success story” which all Australians should be proud of. She echoed Romuld’s sentiments that total nuclear disarmament would one day be possible. “Our view, and ICAN’s view, is that the ultimate prize will come when all nations commit to ridding the world of nuclear weapons once and for all, but the treaty which was announced recently with 122 countries is a really critical step,” Slatyer said.